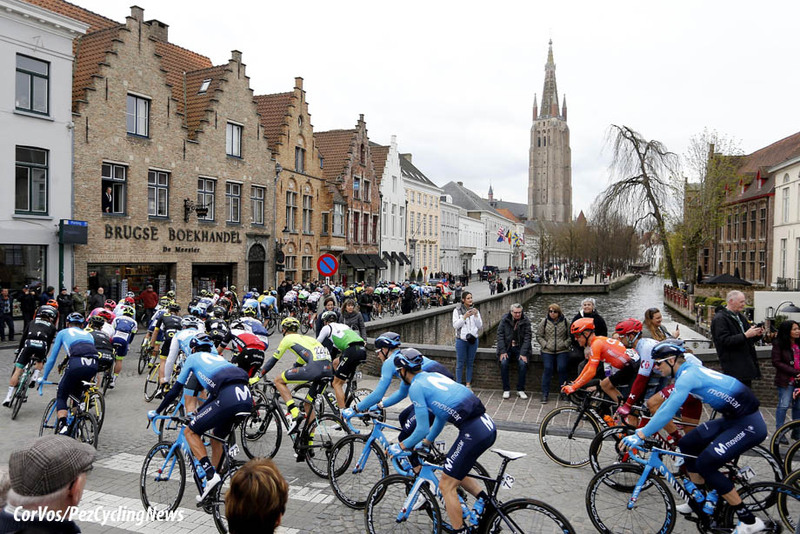 PezCycling News - What's Cool In Road Cycling : Driedaagse Brugge-De Panne’19: Great Gun Groenewegen! 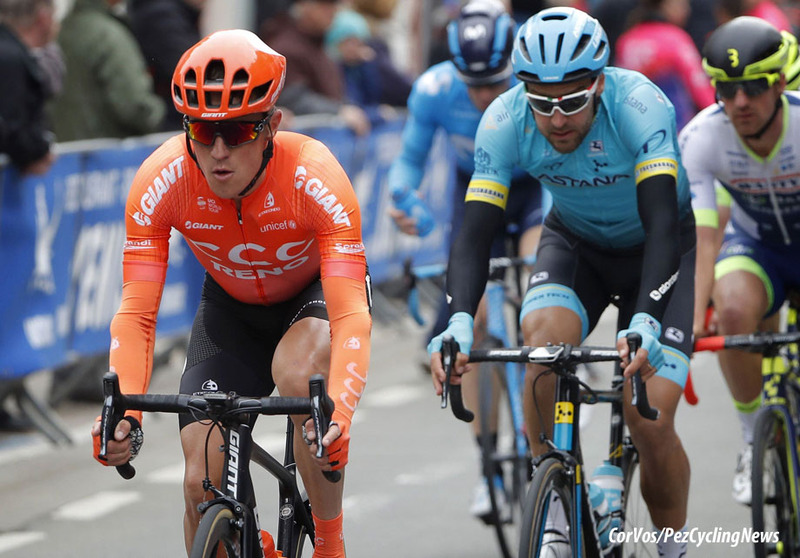 Driedaagse Brugge-De Panne’19: Great Gun Groenewegen! 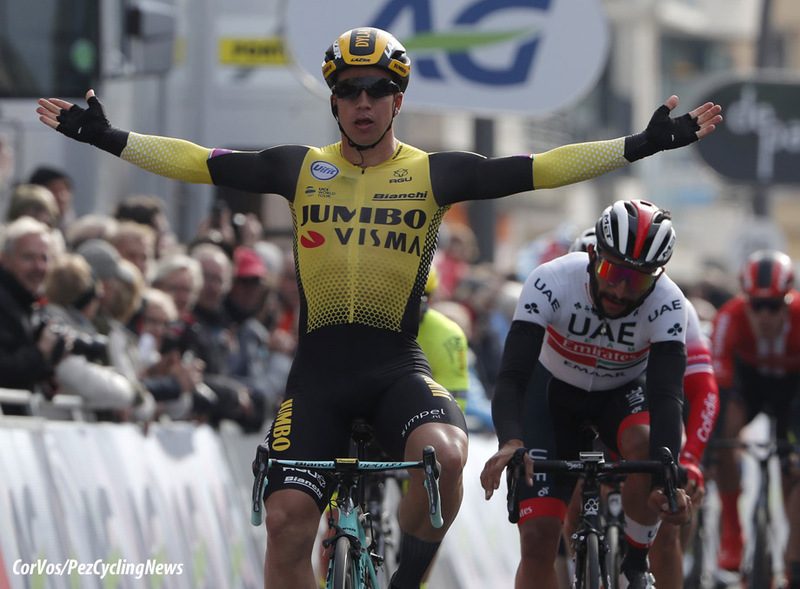 Race Report: Fast finishing Dutchman Dylan Groenewegen (Jumbo-Visma) won the Driedaagse Brugge-De Panne. 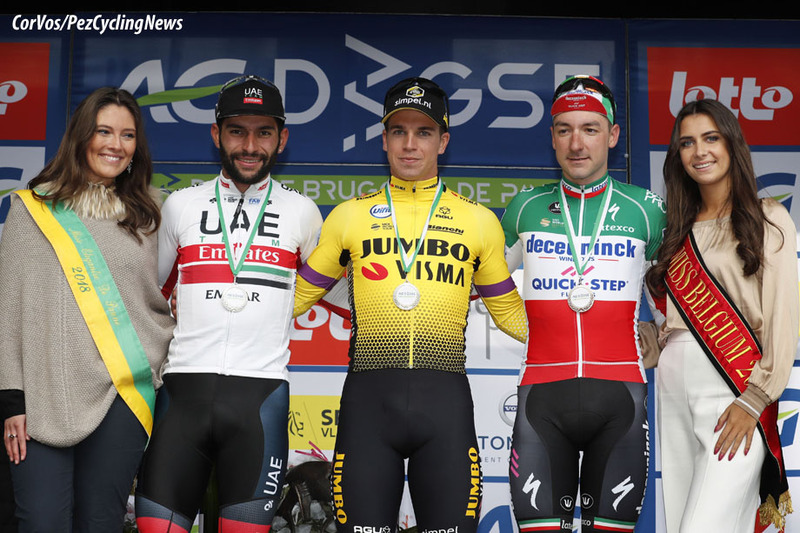 The Jumbo-Visma rider won the bunch sprint at the end of the 200-kilometer Belgian race, beating Fernando Gaviria (UAE Team Emirates) and Elia Viviani (Deceuninck - Quick-Step). 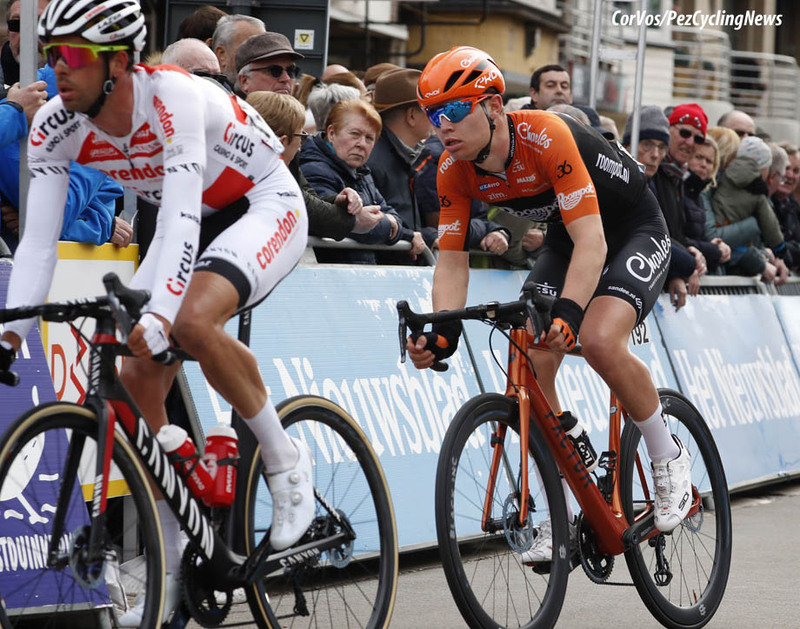 Not long after the start in Brugge, six riders made the break of the day. 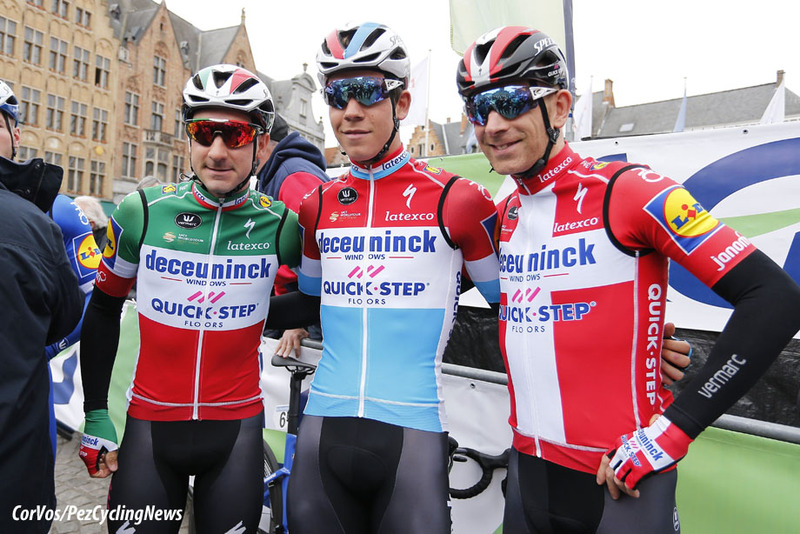 Stan Dewulf (Lotto Soudal), Jimmy Janssens (Corendon-Circus), Senne Leysen (Roompot-Charles), Adrien Garel (Vital Concept-B&B Hotels), Jasha Sütterlin (Movistar) and Mathijs Paasschens (Wallonie-Bruxelles) worked well together to take a maximum lead of over 5 minutes. In the first hour 47 kilometers were covered. 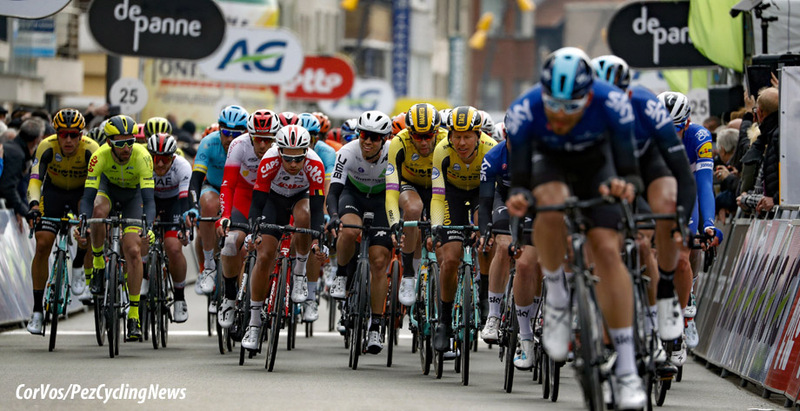 Fernando Gaviria was part of a counter-attack on the first climb of the Kemmelberg, along with Boy van Poppel (Roompot-Charles) and Edward Theuns (Trek-Segafredo). 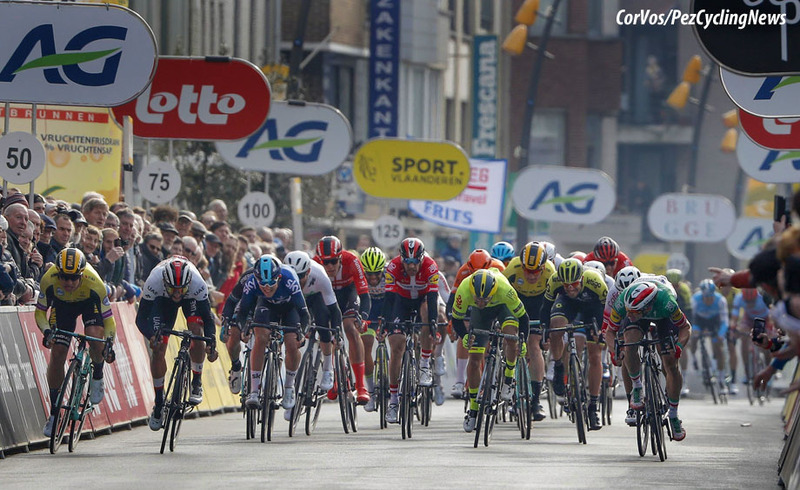 The Deceuninck - Quick-Step team were having none of it, and soon pulled them back. As the race progressed it became obvious that the race would end in a bunch sprint. Sky started to help with the chase work and the break's lead started to fall quickly. With 9 kilometers to go the race was all together. On the run-in to the finish line in De Panne, the lead-out trains of the sprinter's teams took control. The Sky team were working for Halvorsen, but Mørkøv working for Viviani came through. Viviani sprinted on the left side of the road, but it was Groenewegen and Gaviria on the opposite side who were fighting for the win. 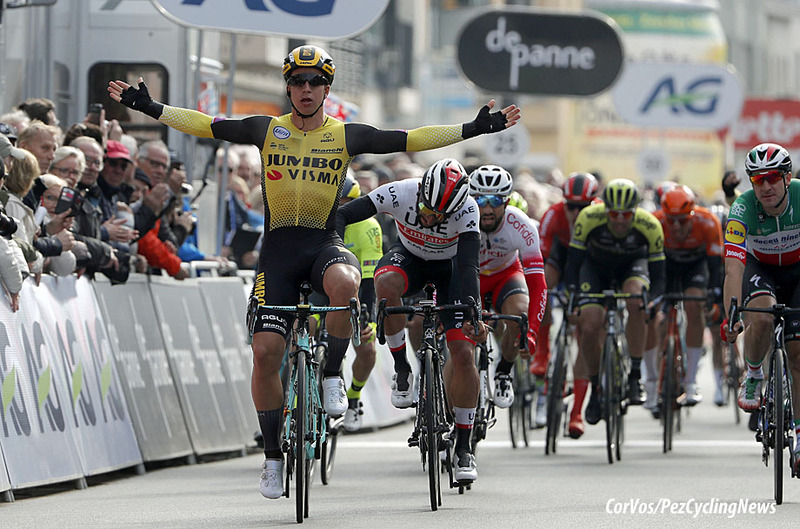 Groenewegen had the speed to pass Gaviria on his outside to take the sprint victory. In a fast race there were several crashes. 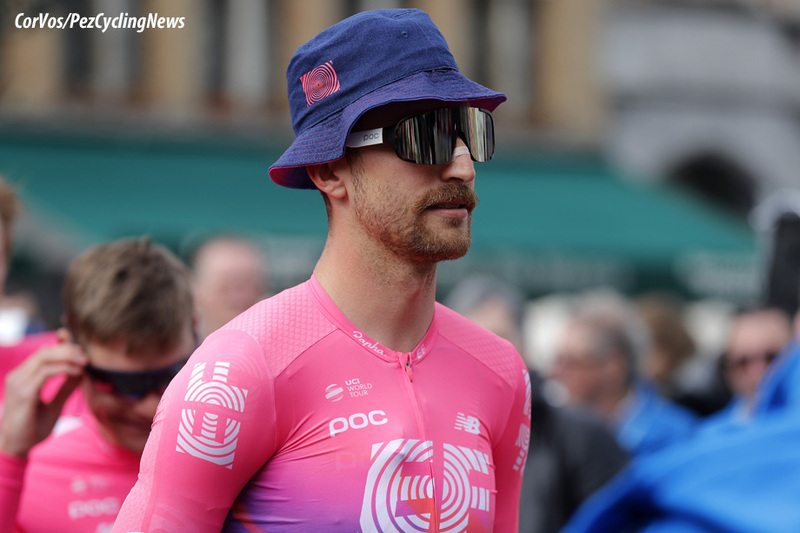 Oscar Gatto (Bora-hansgrohe), Vegard Stake Laengen (UAE Team Emirates) and Luke Durbridge (Mitchelton-Scott), crashed at different times during the race. In the finalé Mads Pedersen (Trek-Segafredo), Pascal Ackermann (Bora-Hansgrohe) and Jens Keukeleire (Lotto Soudal) all came down. "The team did a good job all day. 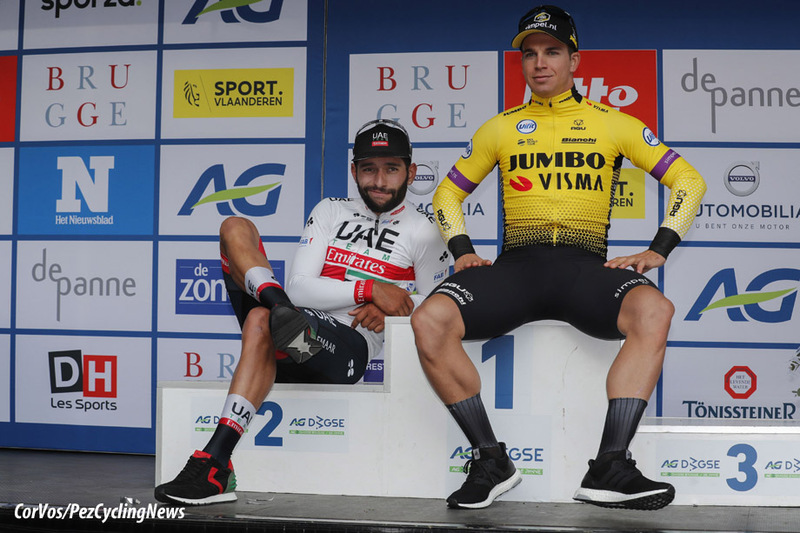 And I am happy for the entire team that I was able to finish it off," Dylan Groenewegen (Jumbo-Visma) said. "In the technical final it was tough to hold positions and it was difficult to stay together as a team. We already had to do a sprint before the last corner. I was a bit boxed in, but my teammates solved that issue very well. I am happy that I have been able to reward them. This victory feels very good, because I have defeated some of the best sprinters here." 25. Reinardt Janse Van Rensburg (RSA) Dimension Data.